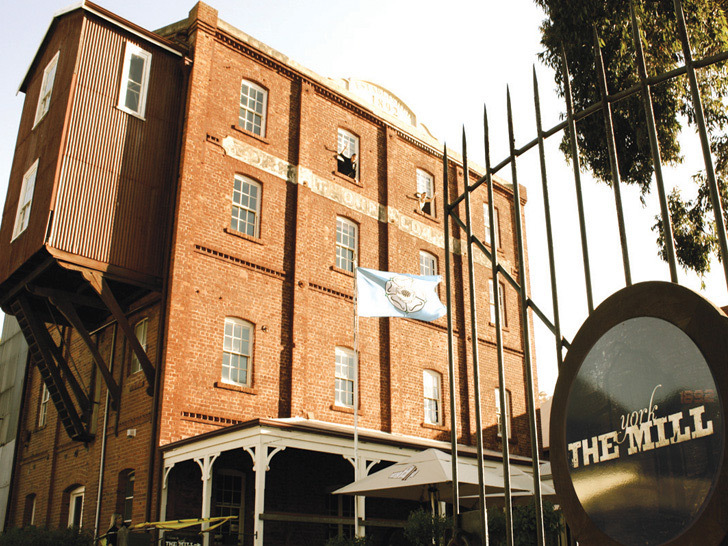 The York Mill is a 2 acre complex in the centre of York, located on the historic site of the old mill as the name suggests and includes a licensed restaurant / café , weekend markets , retail complex and the largest regional art gallery in Western Australia. 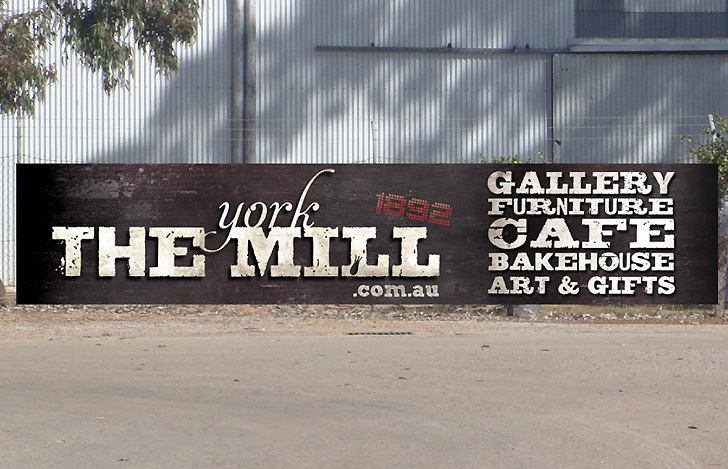 The York Mill already had a strong brand image in place but required it applying to internal and external signage throughout the complex. 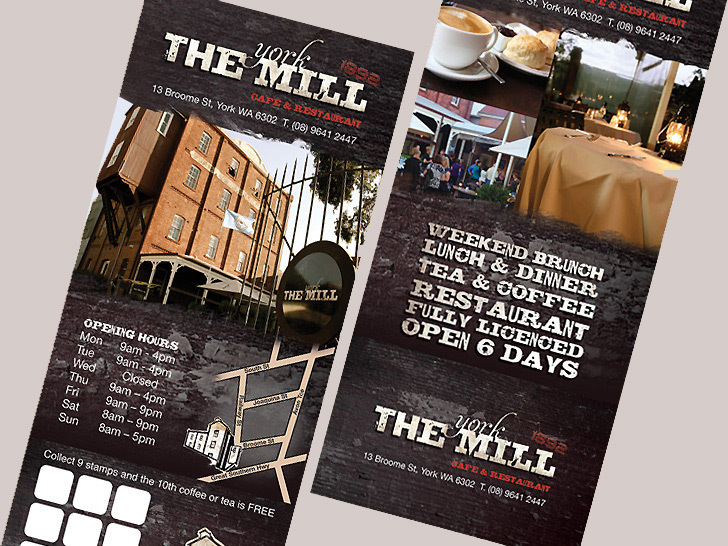 In addition we have also been responsible for print design and management. Nic at Nice Designs sorted out our whole range of internal and external signage.Fast, efficient and reasonable with his rates.